Cardiac resynchronisation therapy (CRT) is a standard treatment for patients with heart failure; however, the low response rate significantly reduces its cost-effectiveness. A favourable CRT response primarily depends on whether implanters can identify the optimal left ventricular (LV) lead position and accurately place the lead at the recommended site. Myocardial imaging techniques, including echocardiography, cardiac magnetic resonance imaging and nuclear imaging, have been used to assess LV myocardial viability and mechanical dyssynchrony, and deduce the optimal LV lead position. The optimal position, presented as a segment of the myocardial wall, is then overlaid with images of the coronary veins from fluoroscopy to aid navigation of the LV lead to the target venous site. Once validated by large clinical trials, these image-guided techniques for CRT lead placement may have an impact on current clinical practice. 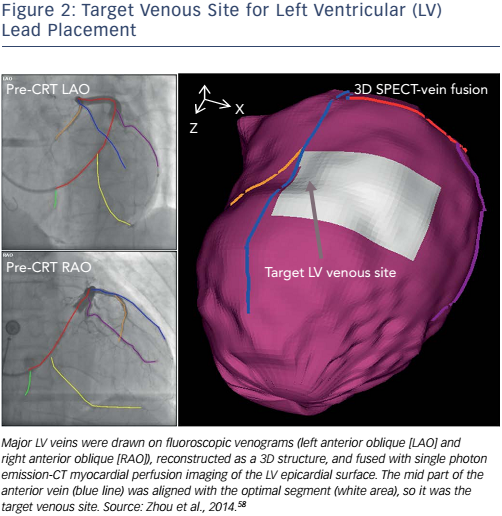 This paper reviews the technical advances and clinical studies being used in image-guided LV lead placement in CRT, including the identification of optimal LV lead position and placement of the LV lead at the recommended site. Myocardial viability at the LV lead position is a key factor in enhancing CRT response rate. The quantification of scar burden in LV dyssynchrony is essential in the evaluation of CRT candidates with ischaemic cardiomyopathy (ICM) or non-ischaemic cardiomyopathy (NICM). Compared with NICM patients, the CRT response rate in ICM patients is more sensitive to the extent of scaring19,20 as these patients have more extensive and transmural myocardial fibrosis, which results in worse outcomes after CRT.20,21 Regardless of which condition patients present with, however, extensive scar burden can negatively impact LV functional outcomes.22–25 Recent studies show that preserved viability in the LV lead segment is related to greater LV reverse remodelling and functional benefit.25 Evaluation of myocardium viability is therefore important when predicting CRT response. The quantification and assessment of LV electrical and mechanical dyssynchrony is important in determining CRT response.3,26 The propagation of electrical activity parallels mechanical activation, so both QRS morphology and duration can reflect the dyssynchrony of LV electromechanical activity and can be regarded as electrocardiographic predictors of CRT response.27 The degree of LV electric delay, assessed based on the interval from the onset of the surface (lead II) QRS to the first major peak (positive or negative) of the left ventricle, is related to the reduction in mitral regurgitation, which contributes to the development of an electric-targeting LV lead strategy for improved CRT response.28 A true left bundle branch block (LBBB) activation pattern has a U shape and is also an important factor in predicting response to CRT.27,29 A true LBBB activation pattern is defined as a unique contraction pattern of opposing wall motion30 with apical rocking motion31 that can reflect a true LV activation delay.32 Niels et al.29 found that the U-shaped activation pattern induced by true LBBB and a QRS duration of ≥120 ms could be used as criteria to predict CRT response. Pacing the latest mechanical activated site may significantly reduce the total LV electromechanical activation time compared with pacing other sites on the myocardial wall.17 An animal study demonstrated that the regions with maximal resynchronisation after CRT had maximum improvements in systolic LV function. These regions are the ‘sweet spots’ and regarded as optimal regions for LV lead placement.33,34 A recent study shows that the latest activated regions may vary significantly, being on the posterolateral myocardial wall in 67 % of patients and in different regions in the remaining 33 % of patients.35 Ypenburg et al.36 make a similar observation, reporting that the latest mechanical activation is most frequently located in the lateral (33 %) and posterior segments (36 %). Several clinical trials have used echocardiography, CMR or nuclear imaging techniques to assess myocardial viability and the latest activated site in order to determine the optimal LV lead position.4,37–40 Echocardiographic techniques, such as tissue Doppler imaging, 2D and 3D speckle tracking echocardiography, are used to evaluate regional myocardial function in several clinical trials. In the prospective Targeted Left Ventricular Lead Placement to Guide Cardiac Resynchronization Therapy (TARGET) study,16 220 patients (123 with ICM and with 197 NICM, QRS ≥120 ms) were enrolled and randomly divided into two equal-sized groups. In group 1, 2D speckle tracking echocardiography was applied to determine the optimal LV lead position. The time–strain curves were generated by the movement patterns of the speckles. Starting from the onset of LV contraction in the mid and basal short-axis views, the segment containing curves with the most delayed peaks was identified as the latest activated segment. In group 1, 70 % of the latest activated sites were in the posterior and lateral segments, while 30 % were in the inferior, anterior, anteroseptal and inferoseptal segments. Scar burden was assessed by measuring the extent of the radial strain amplitude and regions with <10 % deformation amplitude were regarded to contain scarring. The LV leads in group 1 were therefore placed in the latest activated segments without scar burdens. In contrast, patients in group 2 underwent standard CRT. As a result, compared with group 2, group 1 had a higher clinical response (83 % versus 65 %, p=0.003). Of the 187 CRT candidates with heart failure (62 % ICM, QRS 159±27 ms) enrolled in the prospective Speckle Tracking Assisted Resynchronization Therapy for Electrode Region (STARTER) trial,17 treatment was guided by routine strategy (77 patients) or echocardiography (110 patients). The segment with the latest time-to-peak radial strain was considered the latest activated site. No formal quantification of myocardial scar was assessed in this study. Segments with low amplitude strain curves, implying a thin myocardial wall, and unexpected stronger acoustic reflectance were considered likely scar regions.41 These regions were handled as missing data and not considered optimal LV lead positions. In the echo-guided group, therefore, the LV leads were placed in the latest activated sites without likely scar burdens: 76 % in lateral and posterolateral segments and 24 % in anterolateral and posterior segments. A clinical CRT response was defined as ≥15 % decrease in LV end-systolic volume (LVESV) or ≥5 % absolute increase in LV ejection fraction (LVEF). In the echo-guided group, 57 % had a decrease of ≥15 % in LVESV and 59 % had an increase of ≥5 % in LVEF; while in the routine strategy group, 35 % had a decrease of ≥15 % in LVESV and 39 % had an increase of ≥5 % in LVEF. In a retrospective study conducted by Boogers et al.,13 SPECT MPI was used to determine the optimal LV lead position in 90 patients with advanced heart failure (QRS 161±36 ms). For each patient, a six-segment model was used to determine the latest activated site. The mean phase of every segment was calculated and the segment with the biggest value was regarded as the latest activated segment. Regions of myocardial scaring were defined as segments with <50 % tracer uptake. In consequence, the latest activated sites were located in posterior (42.2 %), lateral (23.3 %), inferior (13.3 %), anterior (15.6 %), anteroseptal (3 %) and septal (2.3 %) segments. The LV leads were placed at the latest activated sites in 52 patients (58 %, concordant) and outside the latest activated sites in 38 patients (42 %, discordant). Seventy-nine per cent of patients with concordant LV lead positions and only 26 % of patients with discordant LV lead positions had favourable CRT responses. At 6-month follow-up, significantly improved LV functions were found in patients with concordant LV lead positions; however, patients with discordant LV lead positions did not show any improvement in LV function. In a recent prospective study, Friehling et al.15 used a similar method to determine the optimal LV lead positions in 44 patients (19 with ICM and 25 with NICM, QRS 178±34 ms). The latest mechanical activated segment with acceptable myocardial viability was chosen to be the concordant LV lead position. These researchers evaluated the acute change in LV synchrony after CRT and found that it had improved in 18 patients, deteriorated in 15 patients and remained unchanged in 11 patients. Finally, it was shown that 96 % of patients with acceptable scar burden (<40 %), baseline mechanical dyssynchrony and a concordant LV lead position had a favourable acute CRT response and long-term outcome. A PET study conducted by Uebleis et al.14 retrospectively compared seven responders’ LV functions with seven non-responders’ LV functions after CRT by using gated 18F-fluorodeoxyglucose (FDG) PET. All patients had a QRS ≥120 ms. They found that, compared with nonresponders, responders showed lower LVESV, LV dyssynchrony and myocardial scar burden. In addition, responders had more biventricular pacemaker leads placed in viable myocardial regions and achieved a higher response rate than non-responders. In the other retrospective PET study, Lehner et al.46 hypothesised that the probability of a favourable CRT response would be increased in cases with high amounts of ‘viable and dyssynchronous’ myocardium. Nineteen patients (seven with ICM and 12 with NICM; QRS 169±31 ms) who underwent electrocardiogram-gated FDG PET before CRT implantation were followed for 6 months. Clinical improvement of at least one New York Heart Association (NYHA) class combined with >5 % LVEF improvement was considered a favourable response to CRT. As a result, 12 patients (71 %) were identified as being responders. For each patient, the FDG uptake and phase polar maps were fused to quantify the amounts of ‘viable and synchronous’, ‘scar and synchronous’, ‘viable and dyssynchronous’ or ‘scar and dyssynchronous’ myocardium. The responders exhibited significant decreases in NYHA class and significant increases in LVEF. Furthermore, the responders tended to have a higher amount of viable and dyssynchronous myocardium compared with nonresponders before CRT. Leyva et al.48 took advantage of LGE-CMR to guide LV lead deployment and tracked long-term outcomes after CRT. In this retrospective study, 559 patients (QRS 154±28 ms) with heart failure classified as ICM or NICM were enrolled and implanted with CRT devices, either guided or not guided by CMR. The LV lead tip and myocardial scar were localised by fluoroscopy and LGE-CMR, respectively. For data analysis, patients were divided into three groups: in group A, LV lead placement guided by CMR was paced in a scarred segment; in group B, LV lead placement guided by CMR was paced in an unscarred segment; and in group C, LV lead deployment was not guided by CMR. After a maximum of 9.1 years’ follow-up, patients in group A had higher risks of cardiovascular death or hospitalisation for heart failure compared with patients in group B. Patients in group C had intermediate risks of meeting the endpoints. A prospective study conducted by Sohal et al.49 used CMR to identify the U-shaped contraction pattern induced by true LBBB. Fifty-two patients (25 with ICM and 27 with NICM, QRS 155±24 ms) were enrolled and underwent pre-implantation CMR cine analysis using time–volume curves and contraction propagation maps generated by endocardial contour tracking software. Analogous to the pattern of LV electrical activation, the mechanical contraction pattern presenting a line of blockage in propagation from the septum to the lateral wall was regarded as a U-shaped propagation pattern. According to the presence or absence of the block line, the patients were divided into U-shaped propagation and homogenous propagation groups. The scar burdens in the two groups were evaluated by CMR respectively. Most of the LV leads were placed in the posterolateral or lateral branches of the coronary sinus in each group. As a result, the response rate of CRT in the U-shaped propagation group was significantly greater than the homogenous propagation group (80 % versus 26 %, p<0.001). Taylor et al.50 conducted a retrospective study and validated that placement of the LV lead in the viable segment with the latest activation was associated with LV reverse remodelling and positive clinical outcome after CRT. Eighty-nine patients with heart failure (QRS 179±25 ms) underwent CMR scanning before CRT. Featuretracking and LGE images were analysed. Horizontal and vertical long- and short-axis views were obtained using a segmented inversion recovery technique. The assessment of scar burden was completed by an experienced observer, who recorded the scarring in each segment using software. The latest activated segment was defined as the segment with the latest peak systolic circumferential strain within the cardiac cycle imaged. Concordance was defined as being when the LV lead was positioned in the segment with high viability and latest activation. In contrast, discordance was defined as being when the LV lead was placed in a scarred and/or activated segment. As a result, concordant and discordant LV leads were found in 44 (49 %) and 45 (51 %) patients, respectively. LV reverse remodelling was found in 30 out of 44 (68 %) patients with concordant LV leads and in 11 of 45 (24 %) patients with discordant LV leads. Placement of the LV lead at the optimal site through coronary veins on the myocardial wall is the other key factor in CRT response. The optimal LV lead position recommended by echocardiography, CMR or nuclear imaging is sited on the myocardial wall (epicardial surface), however this is not shown on X-ray fluoroscopic venograms.51 Without a clear image of the myocardial wall in fluoroscopic venograms, the implanters are unable to accurately correspond the venous anatomy with the myocardial segment containing the optimal LV lead position, which may lead to suboptimal or inappropriate LV lead placement.52 Richter et al. investigated the feasibility of a novel sensor-based electromagnetic tracking system to facilitate LV lead placement.53 Similarly, Colella et al. reported the practicality and reliability of device implantation guided by an electroanatomic navigation system in CRT.54 These techniques are limited, however, by the small sizes of the trials and lack of control groups. The other technique, image fusion, may be able to fill the gap between current imaging-guided identification of the optimal LV lead position and the practice of transvenous LV lead placement. Several clinical studies have integrated fluoroscopic venograms and echocardiographic images to guide LV placement. In the guided group of the TARGET trial,16 a 2D visual correspondence method was used to align the venous anatomy from steep left anterior oblique (LAO) fluoroscopic venograms with the short-axis parasternal echocardiographic view. The steep LAO fluoroscopic venograms were acquired to reveal coronary sinus anatomy approximated to the short-axis echocardiographic image, which helped operators match the appropriate vein to the optimal segment guided by echocardiography. As a result, 64 %, 26 %, and 10 % of patients had LV leads placed in recommended, suboptimal and inappropriate positions, respectively. The STARTER trial17 adopted a visual correspondence method similar to the TARGET trial to integrate the LAO fluoroscopy and echocardiographic images. It aligned the anterior lateral and posterior segments on the LAO fluoroscopy venograms with the corresponding segments on echocardiographic images. Furthermore, for correction and adjustment, the right anterior oblique venograms were used to assess the basal, middle and apical segments. However, this trial only accomplished a concordance of 30 % between the recommended segments and sites in which the LV leads were placed. Laksman et al.55 investigated the feasibility of LV lead delivery using a 3D model derived from LGE CMR. The 3D navigation model was projectively matched to intraprocedural 2D fluoroscopy to procedurally guide LV lead delivery. This procedure was accomplished by simultaneous visualisation of fluoroscopic balloon occlusive coronary venography and 3D modelling in the matched spatial orientation. Postprocedural gated CT was applied to establish the final LV lead tip location relative to the respective target segment. The 3D model-prescribed target segment and final targeted segment obtained from postprocedural CT were recorded and blindly assessed to evaluate the accuracy of the 3D navigation model. As a result, 97 % patients had their LV leads placed in targeted or adjacent segments. As a single-centre feasibility study, however, it is limited by an evaluation of clinical impact on LV lead navigation in CRT. Ma et al.56 used processed whole CMR data to yield an anatomical 3D model including the coronary veins. The latest activated segment and scar burden were assessed by LGE CMR. Based on the model, CRT guidance using pre-procedural CMR data combined with live X-ray fluoroscopy was completed, in which the 3D surface showing the optimal LV lead position was manually registered on 2D live fluoroscopic venograms using multiple views of a catheter looped in the right atrium. This method provided high registration accuracy (1.2±0.7 mm); however, manual registration may influence interoperability, the 2D fusion may limit the navigability during procedural planning, and CMR tools are complicated, expensive and time-consuming to use. CT venography is an anatomically-accurate and more direct method of assessing venous anatomy and guiding LV lead placement. In a trial by Sommer et al.,52 LV myocardial viability and mechanical dyssynchrony were integrated to determine the optimal segment for LV lead placement, which was then fused with cardiac CT to select the target venous site. In the trial by Ludwig et al.,57 images of SPECT–CT fusion were further manually mapped on the operative field using a commercial catheter navigator to guide the LV lead placement. Successful guidance in this clinical study was achieved in all five ICM patients and all the LV leads were placed in the latest-activated and unscarred regions. However, these CT-based navigation methods require extra imaging time and cause additional exposure to radiation. Echocardiography provides an excellent non-invasive and economical method by which to evaluate myocardial viability and mechanical dyssynchrony;16 however, the low accuracy of visual vein–surface correspondence and low reproducibility derived from technical and interpretative factors limit its wider clinical use. As a gold standard in scar evaluation, CMR can precisely assess myocardial viability, feasibly evaluate mechanical dyssynchrony and visualise veins;59 nevertheless it is time-consuming and expensive, which limits its extensive use in CRT. Nuclear imaging, known as the ‘one-stop shop’, can evaluate LV viability and mechanical dyssynchrony with just a single scan; however, low spatial resolution and SPECT MPI image counts are major technical barriers in guiding CRT. Insufficient trials in the past and high-costs are have limited the development of PET imaging in spite of higher tracer counts, better spatial resolution and lower radiation exposure5 compared with SPECT MPI imaging. Although these image-guided techniques have been used to navigate LV lead placement, studies of image fusion techniques are still limited and insufficient. This gap needs to be filled if the favourable response rate to CRT is to be increased. Moreover, although a large number of CRT trials have generated promising results,60,61 large randomised prospective multicentre trials are needed to validate these emerging techniques before they can become widely implemented in clinical practice. Pacing of the latest activated segment without scarring can enhance the response rate of CRT. Myocardial imaging techniques, such as echocardiography, CMR and nuclear imaging, have the potential to identify the optimal LV lead position; however, research on the image fusion of coronary veins from fluoroscopy venograms and the epicardial surface from myocardial images is insufficient. Furthermore, large randomised prospective clinical trials are needed to validate these techniques for imaging-guided CRT. Khan FZ, Virdee MS, Fynn SP, et al. Left ventricular lead placement in cardiac resynchronization therapy: where and how? Europace 2009;11 :554–61. Hawkins NM, Petrie MC, MacDonald MR, et al. Selecting patients for cardiac resynchronization therapy: electrical or mechanical dyssynchrony? Eur Heart J 2006;27:1270–81. Bax JJ, Gabe BB, Thomas HM, et al. Left ventricular dyssynchrony predicts response and prognosis after cardiac resynchronization therapy. J Am Coll Cardiol 2004;44:1834–40. Chen J, Boogers MM, Bax JJ, et al. The use of nuclear imaging for cardiac resynchronization therapy. Curr Cardiol Rep 2010;12:185–91. AIjaroudi W, Chen J, Jaber WA, et al. Nonechocardiographic imaging in evaluation for cardiac resynchronization therapy. Circ Cardiovasc Imaging 2011;4:334–43. Riedlbauchova L, Brunken R, Jaber WA, et al. The impact of myocardial viability on the clinical outcome of cardiac resynchronization therapy. J Cardiovasc Electrophysiol 2009; 20:50–7. Bose A, Kandala J, Upadhyay GA, et al. Impact of myocardial viability and left ventricular lead location on clinical outcome in cardiac resynchronization therapy recipients with ischemic cardiomyopathy. J Cardiovasc Electrophysiol 2014;25:507–13. Spragg DD, Dong J, Fetics BJ, et al. Optimal left ventricular endocardial pacing sites for cardiac resynchronization therapy in patients with ischemic cardiomyopathy. J Am Coll Cardiol 2010;56:774–81. Murphy RT, Sigurdsson G, Mulamalla S, et al. Tissue synchronization imaging and optimal left ventricular pacing site in cardiac resynchronization therapy. Am J Cardiol 2006;97:1615–21. Becker M, Franke A, Breithardt OA, et al. Impact of left ventricular lead position on the efficacy of cardiac resynchronisation therapy: a two-dimensional strain echocardiography study. Heart 2007;93:1197–203. Becker M, Hoffmann R, Schmitz F. Relation of optimal lead positioning as defined by three-dimensional echocardiography to long-term benefit of cardiac resynchronization. Am J Cardiol 2007;100:11:1671–6. Kronborg MB, Kim WY, Mortensen PT, et al. Non-contrast magnetic resonance imaging for guiding left ventricular lead position in cardiac resynchronization therapy. J Interv Card Electrophysiol 2012;33:1:27–35. Boogers MJ, Chen J, van Bommel RJ, et al. Optimal left ventricular lead position assessed with phase analysis on gated myocardial perfusion SPECT. Eur J Nucl Med Mol Imaging 2011;38:230–8. Uebleis C, Ulbrich M, Tegtmeyer R, et al. Electrocardiogramgated 18F-FDG PET/CT hybrid imaging in patients with unsatisfactory response to cardiac resynchronization therapy: initial clinical results. J Nucl Med 2011;52:67–71. Friehling M, Chen J, Saba S, et al. A prospective pilot study to evaluate the relationship between acute change in left ventricular synchrony after cardiac resynchronization therapy and patient outcome using a single-injection gated SPECT protocol. Circ Cardiovasc Imaging 2011;4:532–9. Khan FZ, Virdee MS, Palmer CR, et al. Targeted left ventricular lead placement to guide cardiac resynchronization therapy: the TARGET study: a randomized, controlled trial. J Am Coll Cardiol 2012;59:1509–18. Saba S, Marek J, Schwartzman D, et al. Echocardiographyguided left ventricular lead placement for cardiac resynchronization therapy: results of the Speckle Tracking Assisted Resynchronization Therapy for Electrode Region trial. Circ Heart Fail 2013;6:427–34. Dekker AL, Phelps B, Dijkman B. Epicardial left ventricular lead placement for cardiac resynchronization therapy: optimal pace site selection with pressure-volume loops. J Thorac Cardiovasc Surg 2004;127:1641–7. Kim RJ, Wu E, Rafael A, et al. The use of contrast-enhanced magnetic resonance imaging to identify reversible myocardial dysfunction. N Engl J Med 2000;343:1445–53. Adelstein EC, Tanaka H, Soman P, et al. Impact of scar burden by single-photon emission computed tomography myocardial perfusion imaging on patient outcomes following cardiac resynchronization therapy. Eur Heart J 2011;32:93–103. Abu Daya H, Alam MB, Adelstein E, et al. Echocardiographyguided left ventricular lead placement for cardiac resynchronization therapy in ischemic vs nonischemic cardiomyopathy patients. Heart Rhythm 2014;11 :614–9. White JA, Yee R, Yuan X, et al. Delayed enhancement magnetic resonance imaging predicts response to cardiac resynchronization therapy in patients with intraventricular dyssynchrony. J Am Coll Cardiol 2006;48:1953–60. Adelstein EC, Saba S. Scar burden by myocardial perfusion imaging predicts echocardiographic response to cardiac resynchronization therapy in ischemic cardiomyopathy. Am Heart J 2007;153:105–12. Auricchio A, Stellbrink C, Sack S, et al. Pacing Therapies in Congestive Heart Failure (PATH-CHF) Study Group. Longterm clinical effect of hemodynamically optimized cardiac resynchronization therapy in patients with heart failure and ventricular conduction delay. J Am Coll Cardiol 2002;39:2026–33. Becker M, Zwicker C, Kaminski M, et al. Dependency of cardiac resynchronization therapy on myocardial viability at the LV lead position. J Am Coll Cardiol Img 2011;4:366–74. Tanaka H, Nesser HJ, Buck T, et al. Dyssynchrony by speckle-tracking echocardiography and response to cardiac resynchronization therapy: results of the Speckle Tracking and Resynchronization (STAR) study. Eur Heart J 2010;31 :1690–700. Poole JE, Singh JP. QRS duration or QRS morphology: what really matters in cardiac resynchronization therapy? J Am Coll Cardiol 2016;67:1104–17. Chatterjee NA, Gold MR, Waggoner AD, et al. Longer left ventricular electric delay reduces mitral regurgitation after cardiac resynchronization therapy: mechanistic insights from the SMART-AV study (SmartDelay Determined AV Optimization: A Comparison to Other AV Delay Methods Used in Cardiac Resynchronization Therapy). Circ Arrhythm Electrophysiol 2016;9:pii:e004346. Risum N, Tayal B, Hansen TF, et al. Identification of typical left bundle branch block contraction by strain echocardiography is additive to electrocardiography in prediction of long-term outcome after cardiac resynchronization therapy. J Am Coll Cardiol 2015;66:631–41. Voigt JU, Schneider TM, Korder S, et al. Apical transverse motion as surrogate parameter to determine regional left ventricular function inhomogeneities: a new, integrative approach to left ventricular asynchrony assessment. Eur Heart J 2009;30:959–68. Strauss DG, Selvester RH, Wagner GS. Defining left bundle branch block in the era of cardiac resynchronization therapy. Am J Coll Cardiol 2011;107: 927–34. Helm RH, Byrne M, Helm PA, et al. Three-dimensional mapping of optimal left ventricular pacing site for cardiac resynchronization. Circulation 2007;115:953–61. Dilsizian V, Narula J. Finding the sweet spot for CRT. JACC Cardiovasc Imaging 2014;7:1289–90. Van de Veire N, de Sutter J, van Camp G, et al. Belgian Multicenter Registry on Dyssynchrony. Global and regional parameters of dyssynchrony in ischemic and nonischemic cardiomyopathy. Am J Cardiol 2005;95:421–3. Ypenburg C, van Bommel RJ, Delgado V, et al. Optimal left ventricular lead position predicts reverse remodeling and survival after cardiac resynchronization therapy. J Am Coll Cardiol 2008;52:1402–9. Donal E, de Chillou C, Magnin-Poull I, et al. Imaging in cardiac resynchronization therapy: what does the clinician need? Europace 2008;10:iii70–2. Gorcsan J III, Marek JJ, Onishi T. The contemporary role of echocardiography in improving patient response to cardiac resynchronization therapy. Curr Cardiovasc Imaging Rep 2012;5:462–72. Gorcsan J 3rd, Abraham T, Agler DA, et al. American Society of Echocardiography Dyssynchrony Writing Group. 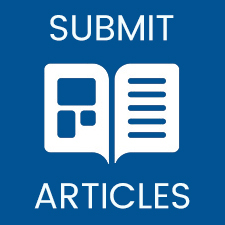 Echocardiography for cardiac resynchronization therapy: recommendations for performance and reporting-a report from the American Society of Echocardiography Dyssynchrony Writing Group endorsed by the Heart Rhythm Society. J Am Soc Echocardiogr 2008;21 :191–213. Bax JJ, Delgado V. Myocardial viability as integral part of the diagnostic and therapeutic approach to ischemic heart failure. J Nucl Cardiol 2015;22:229–45. Mele D, Agricola E, Galderisi M, et al. Study Group of Echocardiography, Italian Society of Cardiology. Echocardiographic myocardial scar burden predicts response to cardiac resynchronization therapy in ischemic heart failure. J Am Soc Echocardiogr 2009;22:702–8. Chen J, Bax JJ, Henneman MM, et al. Is nuclear imaging a viable alternative technique to assess dyssynchrony? Europace 2008;10:101–5. Boogers MM, Chen J, Bax JJ. 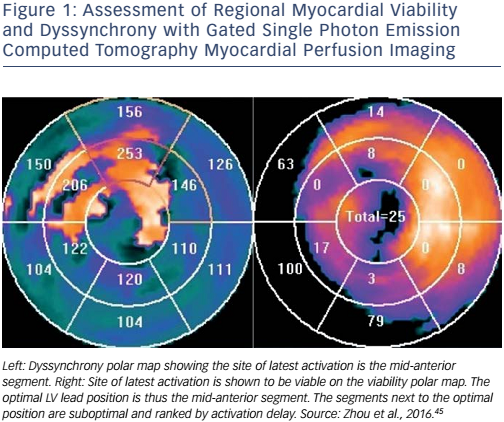 Myocardial perfusion single photon emission computed tomography for the assessment of mechanical dyssynchrony. Curr Opin Cardiol 2008;23:431–9. Boogers MM, Chen J, Bax JJ. Role of nuclear imaging in cardiac resynchronization therapy. Expert Rev Cardiovasc Ther 2009;7:65–72. Lehner S, Uebleis C, Schubler F, et al. The amount of viable and dyssynchronous myocardium is associated with response to cardiac resynchronization therapy: initial clinical results using multiparametric ECG-gated [18F] FDG PET. Eur J Nucl Med Mol Imaging 2013;40:1876–83. Bilchick KC, Kuruvilla S, Hamirani YS, et al. Impact of mechanical activation, scar, and electrical timing on cardiac resynchronization therapy response and clinical outcomes. J Am Coll Cardiol 2014;63:1657–66. Leyva F, Foley P WX, Chalil S, et al. Cardiac resynchronization therapy guided by late gadolinium-enhancement cardiovascular magnetic resonance. J Cardiovasc Magn Reson 2011;13:29. Sohal M, Shetty A, Duckett S, et al. Noninvasive assessment of LV contraction patterns using CMR to identify responders to CRT. JACC Cardiovasc Imaging 2013;6:864–73. Taylor RJ, Umar F, Panting JR, et al. Left ventricular lead position, mechanical activation, and myocardial scar in relation to left ventricular reverse remodeling and clinical outcomes after cardiac resynchronization therapy: a featuretracking and contrast-enhanced cardiovascular magnetic resonance study. Heart Rhythm 2016;13:481–9. Singh JP, Klein HU, Huang DT, et al. Left ventricular lead position and clinical outcome in the multicenter automatic defibrillator implantation trial-cardiac resynchronization therapy (MADIT-CRT) trial. Circulation 2011;123:1159–66. Sommer A, Kronborg MB, Poulsen SH, et al. Empiric versus imaging guided left ventricular lead placement in cardiac resynchronization therapy (Imaging CRT): study protocol for a randomized controlled trial. Trials 2013;14:113. Richter S, Döring M, Gaspar T, et al. Cardiac resynchronization therapy device implantation using a new sensor-based navigation system results from the first human use study. Circ Arrhythm Electrophysiol 2013;6:917–23. Colella A, Giaccardi M, Colella T, et al. Zero x-ray cardiac resynchronization therapy device implantation guided by a nonfluoroscopic mapping system: a pilot study. Heart Rhythm 2016;13:1481–8. Laksman Z, Yee R, Stirrat J, et al. Model-based navigation of left and right ventricular leads to optimal targets for cardiac resynchronization therapy: a single-center feasibility study. Circ Arrhythm Electrophysiol 2014;7:1040–7. Ma YL, Shetty AK, Duckett S, et al. An integrated platform for image-guided cardiac resynchronization therapy. Phys Med Biol 2012;57:2953–68. Ludwig DR, Menon PG, Schwartzman D. Nuclear imageguided left ventricular pacing lead navigation feasibility of a new technique. J Interv Card Electrophysiol 2015;44:273–7. Zhou W, Hou X, Piccinelli M, et al. 3D fusion of LV venous anatomy on fluoroscopy venograms with epicardial surface on SPECT myocardial perfusion images for guiding CRT LV lead placement. JACC Cardiovasc Imaging 2014;7:1239–48. Leyva F. Cardiac resynchronization therapy guided by cardiac magnetic resonance. J Cardiovasc Magn Reson 2010;12:64. Chung ES, Leon AR, Tavazzi L, et al. Results of the Predictors of Response to CRT (PROSPECT) Trial. Circulation 2008;117:2608–16. IAEA-VISION CRT. Nuclear Cardiology in Congestive Heart Failure Value of Intraventricular Synchronism Assessment by GatedSPECT Myocardial Perfusion Imaging in the Management of Heart Failure Patients Submitted to Cardiac Resynchronization Therapy. IAEA Annual Report 2013; Additional Annex Information. International Atomic Energy Agency, 2013.